I spent some time walking through Pioneer Park, which was originally known as Alaskaland. The temperature was hovering just above zero at the time, and there was absolutely no one else in the park. None of the buildings were open either, with the tourist season running from Memorial Weekend to Labor Day Weekend. 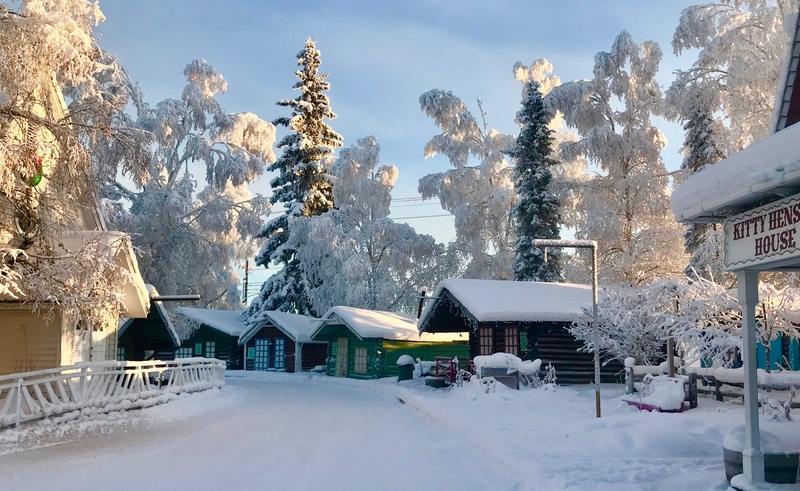 This entry was posted on Monday, January 28th, 2019 at 7:07 AM	and tagged with Alaska, Fairbanks, history, snow, travel and posted in photography. You can follow any responses to this entry through the RSS 2.0 feed.